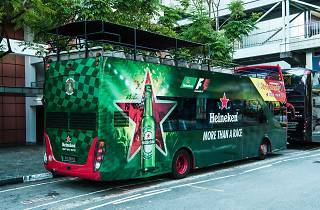 Singapore’s iconic heritage hawker centre is home to many local delights – and for one night only, it’ll play host to an action-packed Heineken Formula One fashion show. Led by well-known show producer Jeremy Tan, the show will feature local designers such as Amos Anada, Sabrina Goh and Jahan Loh. While the event is invite-only, you can be part of the action by catching the live streaming on the big screen set up at Lau Pa Sat (along Satay Street). There’ll also be live mannequin performances and entertainment by celebrated iPad magician Alexander Yuen Catch. Not big on fashion? 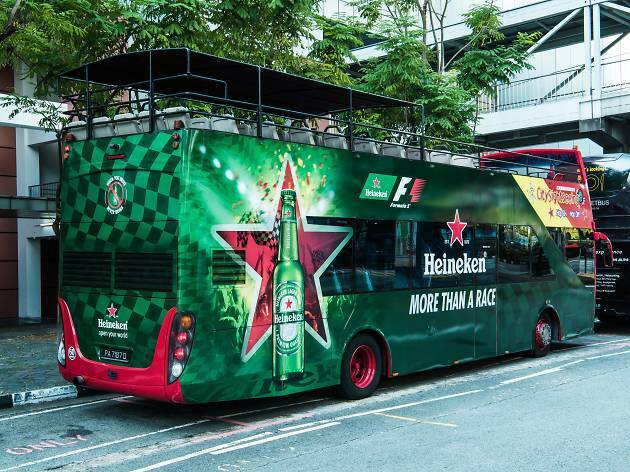 You can also hop onto the Heineken-branded Hippo bus every 20 mins and explore iconic landmarks across the Formula One weekend (Sep 16 & 17) from 5pm to midnight.